If you arent a Star Wars fan, May 4th probably means very little to you. 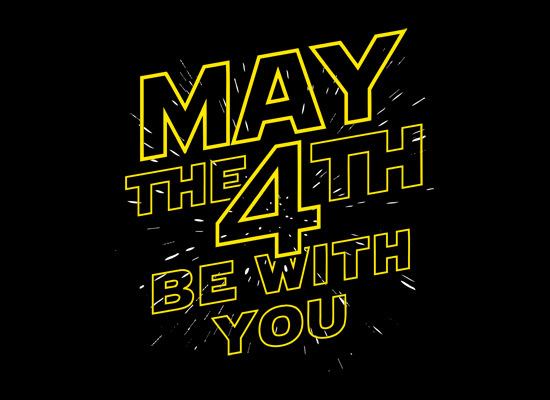 For all the diehards out there, this is the day to celebrate all the fun that the movies and universe have brought to the world. In the app, this should be one of the more important days of the year, save December 18th, and I hope there will be some fireworks to celebrate. Remember, with no sporting events to tie the app to, there is a need to add some events that focus on the mythos of the SW world. We saw some of it during Star Wars Celebration, and I am guessing there will be a lot of it today. Like we have seen with the All Star game in Bunt and the Super Bowl in Huddle, things get really interesting with the cards that are released. We could see special inserts, special sets, or a big sale (some of which has already started). I would love to see movie magic take center stage, especially with the movie posters or some nostalgic element we havent gotten yet. Being that the universe has expanded so dramatically over the last few years, the app has had to stretch to accommodate. Today, at least for me, is more about the movies. The @ToppsDigital account has already started a promotion to get a free Darth Sidious pack by tweeting out you with a pic of the app while wearing some SW gear, something that I would definitely take advantage of if you can. We also saw that the daily bonus was 40k today instead of the normal 25, which may or may not be related. I would guess things will get going early, so stay close to your phone today. Cant wait to see them hit the hyperdrive and really get going. Ill update this post as things are released, so keep checking back as I see what happens.